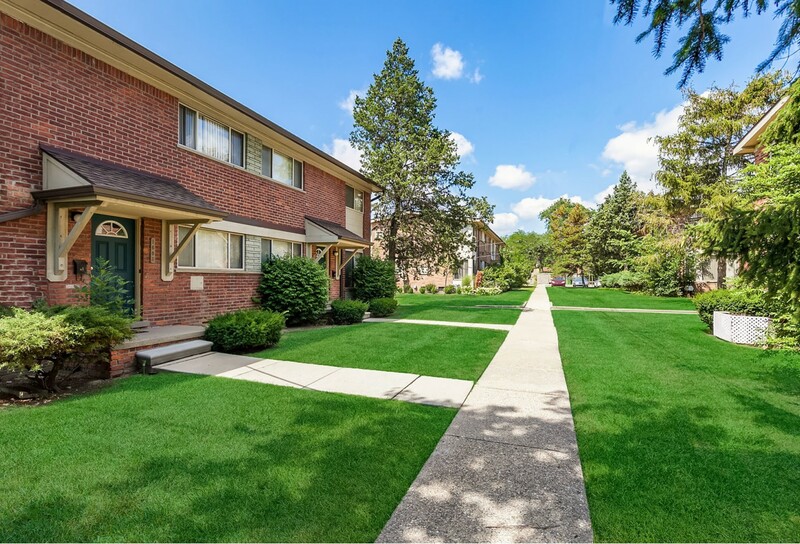 Beautiful and quiet neighborhood, spacious and updated apartmentsubmitted by Kristen S. - Apr 08, 2019 |Recommended: YesWe love living at Arlington. The townhomes are very spacious and have plenty of storage as well as a washer dryer hookup in the basement, which has made a huge difference for us. The complex is quiet and peaceful, and the staff especially maintenance have always gone above and beyond to help us and make us comfortable. Great location in Royal Oak - can't beat it. Spacious and affordable.submitted by Brendan H. - Jan 07, 2019 |Recommended: YesI have been living in a 1 bedroom apartment here for several months, and have been very pleased overall with the experience. The price for what you get is very fair. I feel like I have good storage space in my unit, not to mention additional basement storage if I need it too. One big plus for me is having full control of heating and AC in the unit itself. Maintenance is always very attentive issues are usually resolved within 24 hours of work order submission. My only complaint more of a nit pick for me would be that the walls and floors are slightly thin, but even so, noise has never been an issue. response from property - Jan 17, 2019 Thank you so much for your feedback! I'm glad to hear that you've been enjoying your stay here! Adequatesubmitted by Josh B. - Aug 01, 2018 |Recommended: YesIts a great starter apartment, located in a great spot near downtown. Great place to livesubmitted by Lauren H. - Jul 18, 2018 |Recommended: YesGreat location and property is well maintained. No workout facilities or extras, but located next to a beautiful park and just about everything you need within a 5 minute drive. Good heating and cooling systems and hardly ever hear my neighbors. Don't plan on leaving any time soonsubmitted by Lindsey H. - Oct 19, 2017 |Recommended: YesWe moved here from a so-called luxury community and so far we've had a much better quality of life for far less. On a couple of occasions we've had to call maintenance for some minor repairs, and they took care of them the same day. Literally that same day. And only one of them was urgent and when that happened the maintenance guy Jason took care of it within fifteen minutes of me calling the office. Speaking of which, the office staff is really great too. Lacy has been really helpful from day one. I can see why we were on the waitlist for as long as we were. New, clean, and affordablesubmitted by Damon E. - Jul 09, 2017 |Recommended: YesThe complex is nice, and it is not overpriced. All the appliances are pretty new, and it is a clean environment. Very happysubmitted by Sarah C. - Jun 11, 2017 |Recommended: YesI have been in my townhome for almost two years now and will likely stay for another. I am surrounded by good people, landscaping is always kept nice no overgrown grass or need to own a shovel . Neighbor noise is so minimal I don't worry about it, it happens once in a while when you share a wall. I have been very, very happy living here. Awesome location, and great price for it. response from property - Dec 14, 2018 Hi Dominic, I'm glad that you enjoyed your time here! We have been working on upgrading the entire property, so we are slowly getting to there! Nice place to livesubmitted by Melissa R. - Dec 03, 2015 |Recommended: YesI have been here for almost 4 months. Really enjoy living here. All repairs are done in a timely manner. Office staff is friendly and helpful.